If you race bikes in New York City, you probably know who Kevin Hseih is. If you don’t know who he is, find out who he is and thank him for all of the hard work that he does, both in running Kruis CX and being a significant contributor to all things CRCA (and NYC bike racing, by extension). 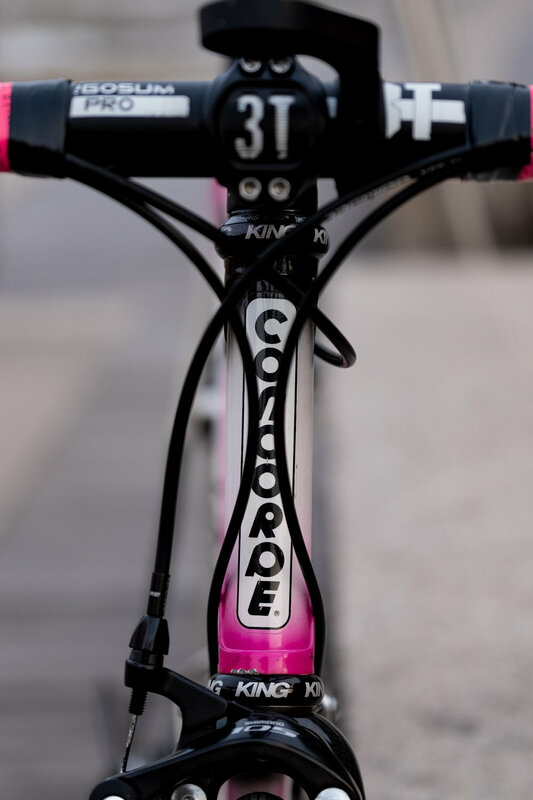 Below are Kevin’s words about his beautiful, unconventional, and really really cool Concorde Mistral build. This bike is not particularly good at anything. The geometry and lack of tire clearance means it doesn’t really excel at anything beyond pavement, and even on pavement, the steel is too heavy and flexy to really hold a candle against more modern machines. Its existence probably simultaneously irks the retro-grouch community, the Italian road bike community, and probably a number of other communities along the way. And I love it. 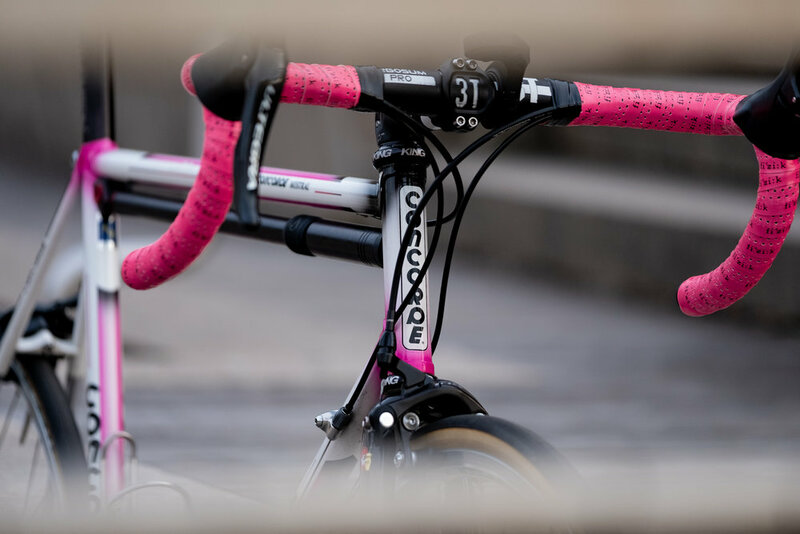 I bought the frame on eBay after years of coveting the old Italian frames but had no idea what to do once my relatively paltry offer on an 80’s new old stock Concorde Mistral frame from some warehouse in Belgium was accepted. I knew I didn’t want to go fully down the retro route so opted for whatever was cheap online (Shimano 105) and pieced together parts over time and/or scavenged bits from my other bikes. While truly not being the sharpest tool in the shed for any application among the bikes I enjoy riding, it does hold a special place in my heart for teaching me a lot about how bikes have changed over the years. I had no idea about Italian vs. English threaded bottom brackets, that rear hub spacing had increased to accommodate more gears (imagine me learning that I had to bend the frame in order to make the rear wheel fit), and that 1’’ steerers were even a thing. If anything, I just like bikes more because of this bike. 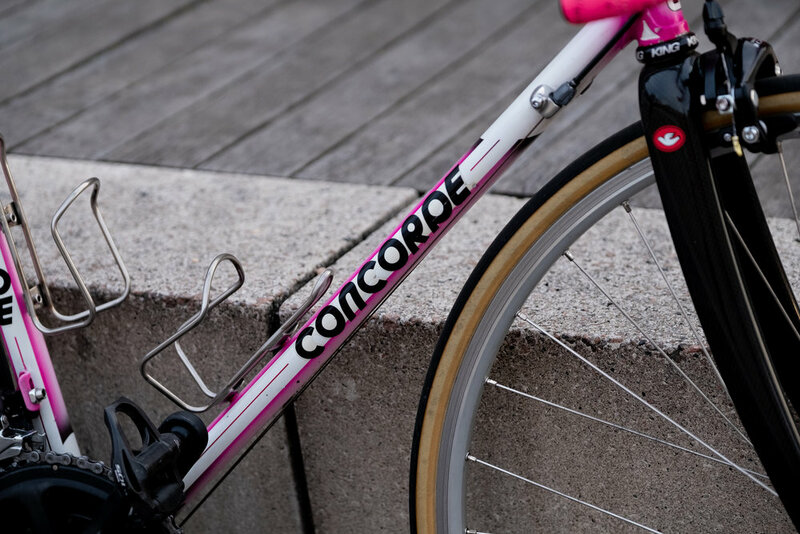 If you are New York City based and have a bike that you think belongs on ‘The Best Bikes’ feel free to drop us a line at submissions@tobedetermined.cc - we’ll see if we can connect!